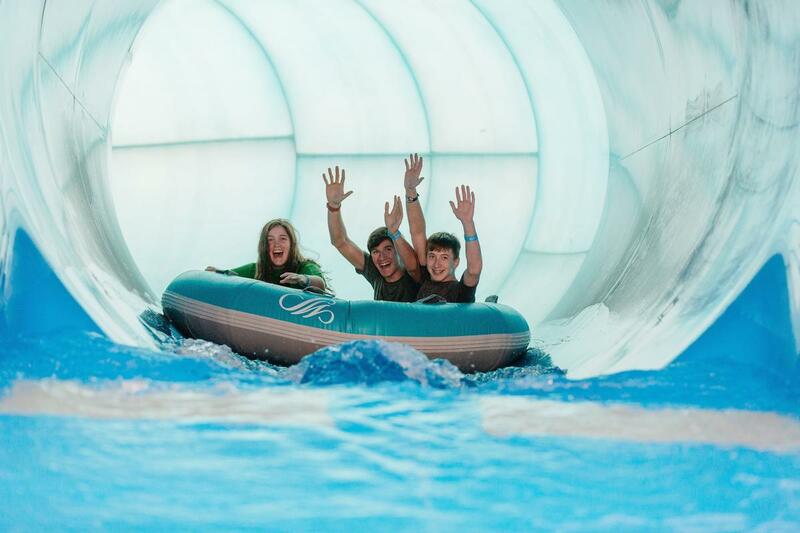 A US$90m (€79m, £70.4m) waterpark development has opened its doors to the public, with the indoor/outdoor attraction offering year-round appeal to visitors of the Gaylord Opryland Resort in Nashville, Tennessee. Called Soundwaves, the attraction had its official launch on 1 December and has been given a music theme to compliment Nashville's rich musical history. Designed by Blur Workshop, facilities at the 111,000sq ft (10,300sq m) indoor park include a slide tower with slides ranging up to 46ft (14m) tall, a river ride, a looping raft ride, FlowRider surfing attraction, children's activity pools, an adult infinity pool and a pool-side bar. Other features include an activity pool with rock climbing, an obstacle course and basketball, indoor restaurants, an adults-only enclosure and cabanas for private rental. A number of seasonal summer features in the second quarter of next year 2019 at Soundwaves, including a 315,000-gallon outdoor wave pool with a giant LED movie screen, 106,000sq ft (9,848sq m) of outdoor water amenities, an outdoor children’s pool with a multi-level play structure and an adults-only outdoor pool, as well as bars and lounging areas. SoundWaves will maintain an 84-degree tropical temperature all year, mimicking the temperature controlled indoor gardens at Gaylord Opryland, and has a transparent roof for year-round sunbathing. "With the addition of SoundWaves, there's one more reason to visit Nashville and Gaylord Opryland," said John Adams, VP and general manager at Gaylord Opryland. "Our team has worked diligently on every detail of the design and guest experience from crafting unexpected dining options to ensuring exclusivity as well as creating an ambience that families, couples and groups find both inviting and upscale. "This is a premier water and music attraction that you can't find anywhere else."